A statement giving a clear picture of the net worth of a business is known as a balance sheet. A balance sheet is a financial tool for all businesses to list their assets, liabilities and their owner’s equity to calculate the actual worth of the business. Creating a financial statement is a standard practice for all businesses. These statements are later audited by governing agencies for taxes and other purposes. The commonly used financial statements of a business include the following. An income sheet covers the revenues from sales, cost of goods sold, expenses, net income, taxes and earning per share. It is created annually, half-yearly or quarterly. A balance sheet displays a snapshot of the net worth of the business. It is mostly drawn at the year-end and the date is specified on the balance sheet. Assets are all properties/belongings/things owned by the business. They can include the properties, cash, machinery and even prepaid expenses. Liabilities of a business include all of the expected dues which the business is supposed to clear in coming days or years. They include long-term loans, short-term loans and an accrued account of the business. Owner’s equity is the capital of the owner who invested in the business. It includes the retained earnings and finances generated from issuing stocks and debentures. Therefore, a balance sheet can be easily defined as “A statement which consists of assets, liabilities and owner’s equity (capital) on a particular date”. The balance sheet got its name as the closing balance is balanced at the year-end. The balance sheet is the final stage of the financial accounts in bookkeeping records. It is mostly prepared at the year-end. It is just a statement, not a ledger account. The balance sheet has two sides which show the assets on the left side and liabilities on the right side. Both the right and left sides of a balance sheet should always balance. The balance sheet only reflects the balances of the asset accounts and liability accounts. They do not reflect revenue accounts. The balance sheet also reflects the business’s solvency. The balance sheet is designed after the income statement as it requires the net profit or net loss in the equity section. There are plenty of benefits to creating a balance sheet for your business. However, for smaller businesses, the balance sheet is not an essential requirement as they are not opting for listing their businesses for stocks either they are paying huge taxes. Regardless, a balance sheet can be very helpful in reflecting the complete hearth of your business. 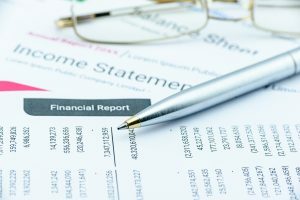 Ensuring Sound Financial Health for Business Should You Shut Down Your Computer When It Is Not In Use?